It's the brainpower behind our family of products. This is what sets us apart from other brands. 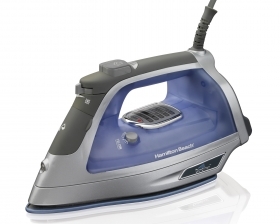 Hamilton Beach products are thoughtfully designed to make your life easier. Whether it's preparing delicious meals, tasty beverages or making your clothes look their best, you can count on the brand that designs products with you in mind. Hamilton Beach ... American innovation for over 100 years.